Audit Reports – who accessed what, and when? Wow! You'll always get more with Sharegate, and we're proud to release this update for you. Here's some even more detailed information regarding this update. SharePoint already collects Audit information if you ask it to; however, the information is almost impossible to read when you need it. 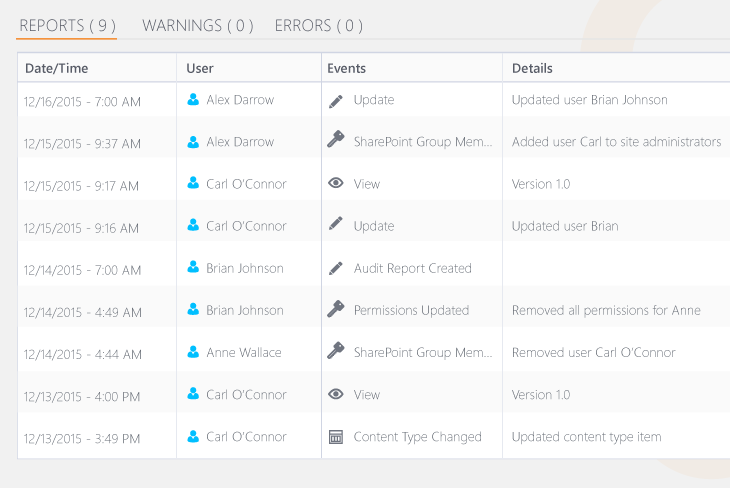 We decided to leverage the existing audit logs directly from SharePoint. Since the logs come straight from SharePoint, you can trust their accuracy, and Sharegate allows you to consume it whenever you want. For a given time period, and even a specific user, you can quickly see if they opened or edited the document you're looking at. 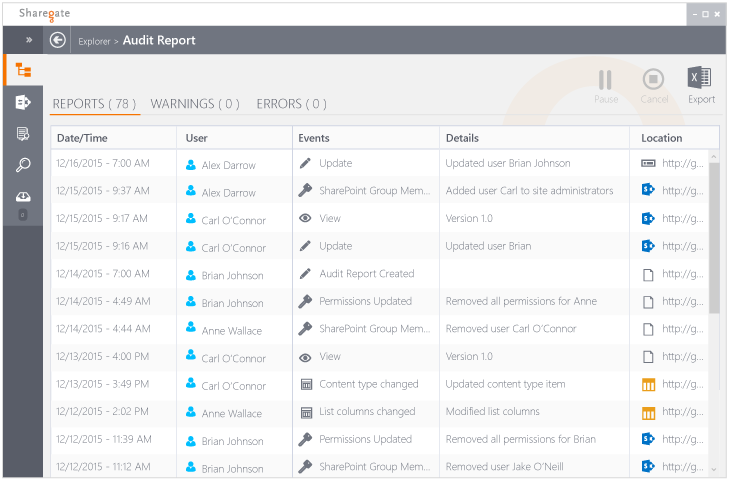 This way you can finally provide a simple and accurate audit report on what’s going on in your SharePoint environment. Since Sharegate runs against multiple environments, including On-Premises and Office 365 at the same time, you’ll be able to provide complete audit reports to anyone that asks for them. This one was a long time coming. Google Drive users can now easily move beyond simple file collaboration to that of the robust, ECM-capable, SharePoint and Office 365. As previous Google Drive users ourselves, we made sure this new migration path made sense functionally, all while preserving our traditionally simple user experience. Orphaned Users in SharePoint are users that are still used somewhere, but disabled in the Active Directory. Sharegate Reports already had the ability to find these Orphaned Users but, before today, could not clean or remove them for you. This will even remove User Alerts that were configured for them, and may still be trying to send them emails. 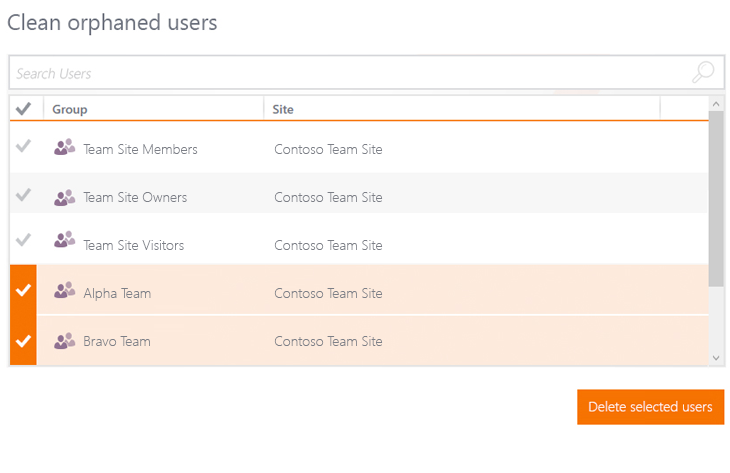 As Microsoft continues to invest in Groups for Office 365 as a central entity to which products are associated, it’s important to be able to manage them from our familiar interface. 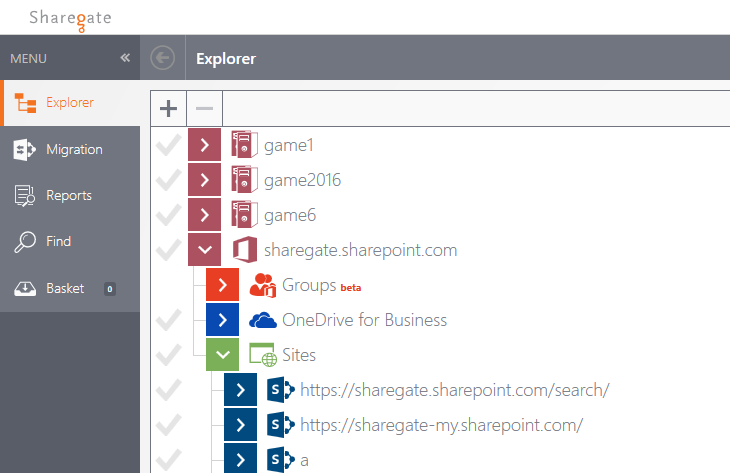 Though Sharegate already allows you to migrate files to Groups for Office 365, we’ve begun integrating them into our Explorer, so you can keep an eye on them. Stay tuned as we continue to add features, and build on bringing Group management to you within Sharegate. 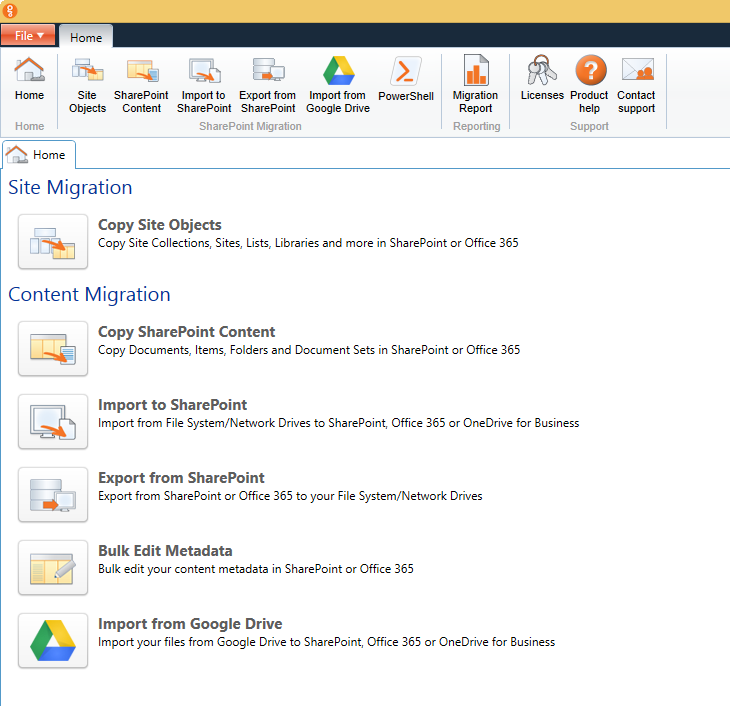 For those migrating from SharePoint On-Premises to Office 365, you may notice that Nintex doesn't always have all the same workflow actions available for us to map to during the migration. Previously, this limitation would stop the migration from happening. With Sharegate, you can now migrate your Nintex Workflows regardless of whether one of the actions isn't available in Office 365. We’ll create a Placeholder for them in your Workflow, and will not publish it. As always, we consistently look for ways to improve Sharegate's usability through our interface, and adding key features to help you get the job done is our highest priority. Auto-Assign as Site Collection Administrator: When using Sharegate to run reports or actions on your farm, even as a Farm Admin, you could potentially run into issues, when trying to read the information, if you're not the Site Collection Administrator. With this update, Sharegate will allow you to Auto-Assign yourself as Site Collection Administrator, provided you have the right to do so. So no more Unauthorized Access Errors when trying to manage your environment as an admin! Data Encryption when using Azure and the Insane Mode: The Sharegate Insane Mode is an option that improves speeds immensely when migrating to SharePoint On-Premises or Office 365. With Office 365, we leverage the API worked on in collaboration with Microsoft, which temporarily stores your content in an Azure Storage Account you specify. While it's in your Azure Storage, provided someone hacked their way in there, your data wasn't encrypted. We didn’t want to take any chances, so we added a whole new layer of encryption, in addition to Azure’s protection, while you keep on migrating. Browser Authentication support for PowerShell: Some of the best things that can be done with Sharegate are accomplished through PowerShell. PowerShell allows you to script and automate a lot of our migration actions. In this release, we’ve added the ability to login not only using your browser, but also using PowerShell. Great for those with particular authentication providers. As always, we are thrilled to hand our latest Sharegate work over to you, and we look forward to hearing what you think. Many of these features, including the Google Drive migration and the Audit Reports are requests from our very own customers. As a matter of fact, we've already started working on our next release, based on customer requests, and can't wait to share it with you!